December 12 marks the 155th anniversary of Edvard Munch's birthday. For this occasion, we have collected some interesting facts about the artist and his works. His oeuvre explored the modern human psyche, specifically themes of mortality, loneliness, anxiety and depression and veered into symbolic naturalism with rich paint colors and moody scenes. Beginning in the 1930s, he was considered "degenerate" by the Nazis who confiscated his art and he hid many of his works at his home in Norway before his death in 1944. 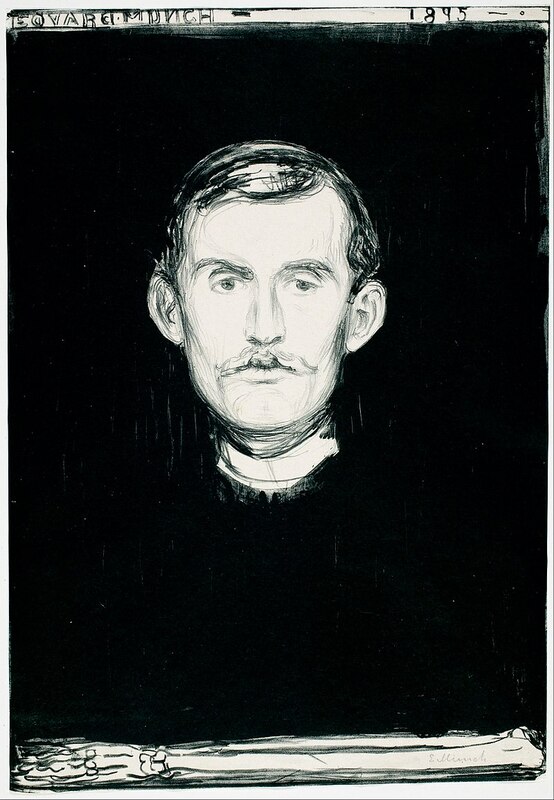 Today, Edvard Munch's original works are exhibited in the most famous museums in the world, and the Munch Museum in Oslo holds over 24,000 paintings, drawings and prints of his. 1. 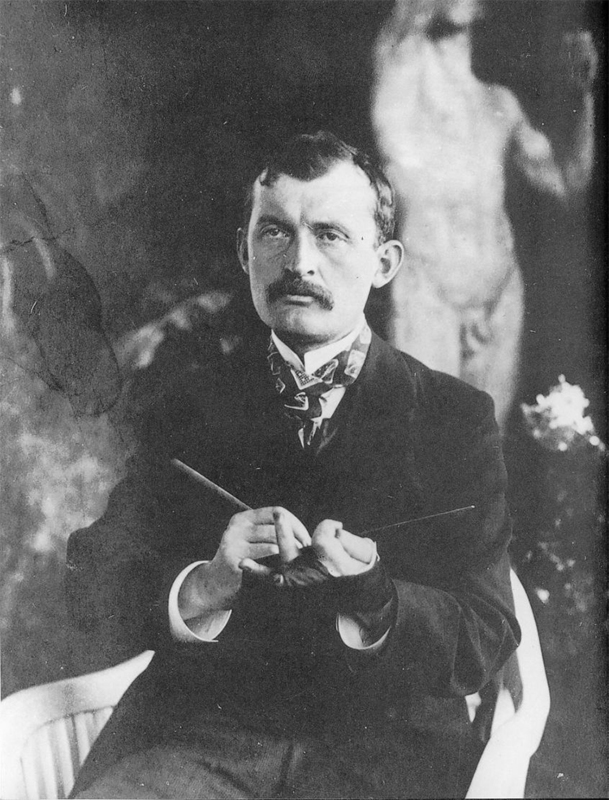 Edvard Munch originally studied to become an engineer. However, after just one year he quit his studies at the Technical University in Kristiania (today Oslo) in order to pursue his new career aspiration of being a painter. 2. 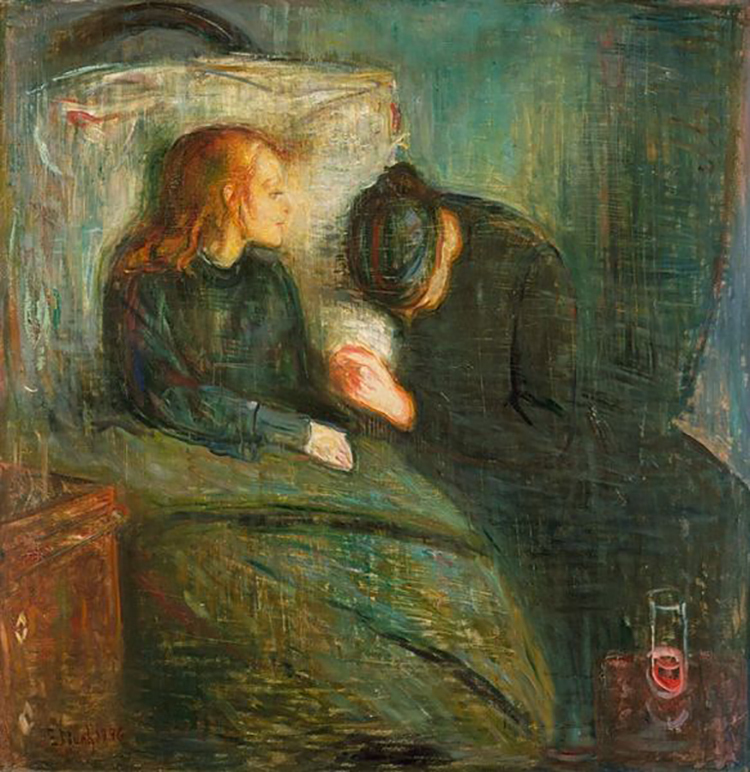 The inspiration for Munch's work The Sick Child was his own sister. Edvard Munch's older sister Sophie died of tuberculosis in 1877. About seven years later, Munch painted the first version of The Sick Child, which was to be followed by three more by 1925. 3. 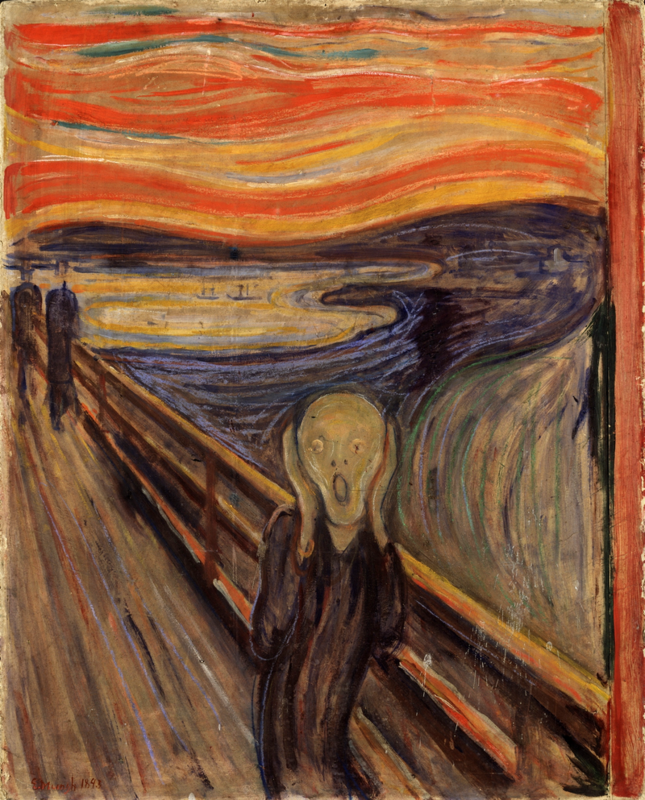 When Munch's 1895 version of The Scream sold at auction in 2012, it became the most expensive painting in auction history at the time. American billionaire Leon Black paid $120 million for it at Sotheby's in New York and it remains in his private collection. 4. 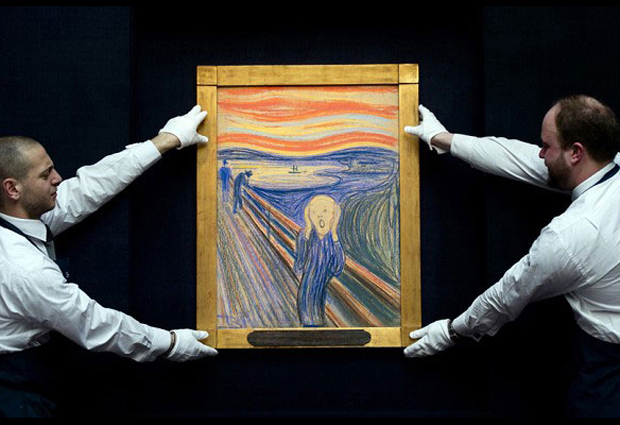 Two of the four versions of The Scream have been stolen from their museums. 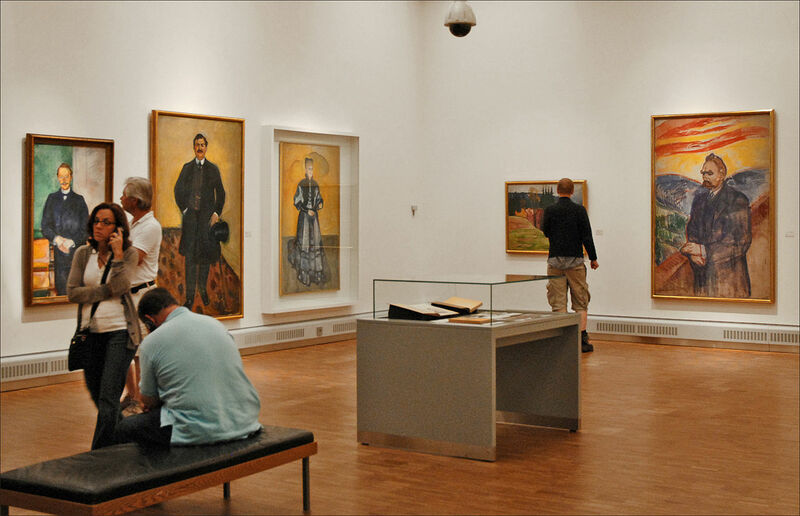 In 1994, the 1893 version was stolen from the National Gallery in Oslo and in 2004, the 1910 version disappeared from the the Munch Museum. Fortunately, both works were recovered and returned to their exhibition venues. 5. Edvard Munch usually depicted himself as the suffering artist in his expressionist and often melancholic works. At the beginning of the 20th century, he suffered from severe alcoholism and mental illness, which led him to seek professional help. After extensive therapy, his later paintings became more joyful and colorful.